Andrew Avery's parents, Dave & Julie, sent this YouTube video to supposedly give me a laugh. It did that but it also brought tears to my eyes. What an incredible "kid"! 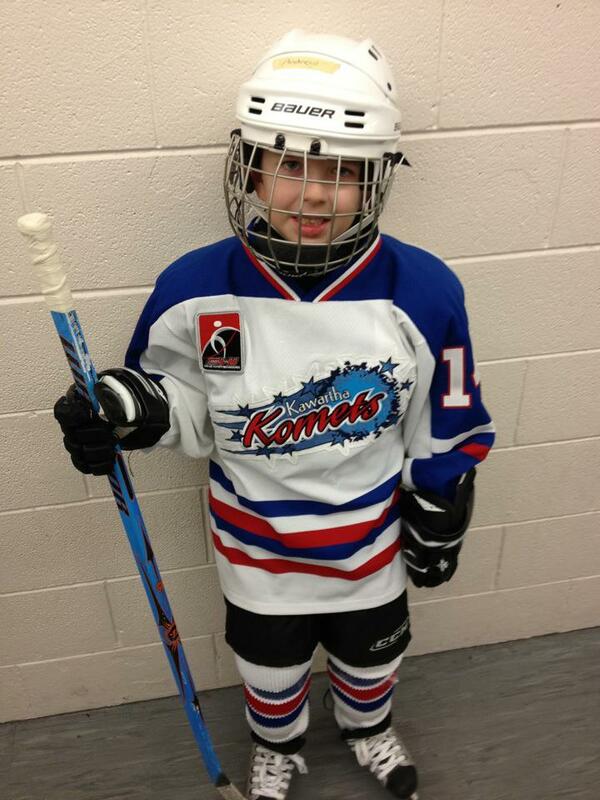 Andrew is often the first one at the rink on Saturdays after riding up from Cobourg with his mom and dad. 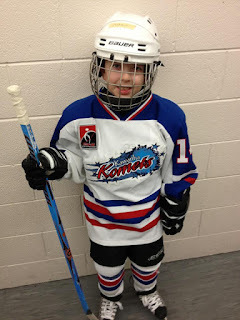 Watch this video and remember that this is what the Jack McGee Kawartha Komets hockey team is all about...giving kids and young adults (and older ones too) with special needs an opportunity to shine at the game they love...hockey. Click here to watch this incredible video. Come out to see Andrew and 54 other Jack McGee Kawartha Komets at our special fundraising game at the Peterborough Memorial Centre on Sunday, January 27th @ 1:30 p.m. We will take on the OHL's Peterborough Petes. Admission is FREE. All proceeds, raised by the kids themselves, will go to the Five Counties Children's Centre. The late Mike Mulvaney, former Komets board member, will be honoured at the game. Now sit back, watch Andrew prepare for the game and have a little chuckle mixed with tears.